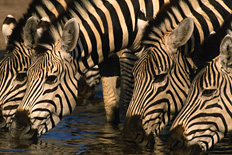 • These affordably priced safaris have set pricing and fixed departure dates. • Prices start at $3,800 per person and offer great value for the price. • Please check the individual safari links below for scheduled departure dates and pricing. • Base price shown does not include single supplement nor local cash payments - see detailed safari info and pricing for each Safari. • 13 nights / 14 days. • Antananarivo, Mandare River, Fort Dauphin, Lokaro, St Luce, Manafiafy Beach. • Culture & Kayaking adventure. • 9 nights / 10 days. • Central Kalaharim Okavango Delta, Linyanti/Chobe and Victoria Falls. • Exceptionally diverse variety of activities, including day and night nature drives, sea- and land-based wildlife viewing, flying, driving, and boating. • Other unique activities include climbing some of the world’s tallest dunes, rhino tracking, a motorboat lagoon trip at Walvis Bay and viewing shipwreck remains along the dramatic coastline. • Endless landscapes and places of interest are seen along the way, with a scenic flight from Sossusvlei to Swakopmund (weather permitting) being a highlight. 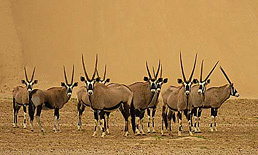 • Exclusive accommodation in remote concessions in Namibia. • 9 - 13 days or more. 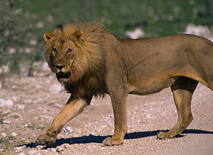 • Various itineraries throughout Africa's wildlife. • Photography instruction in prime wildlife locations. • Trip leaders include Andy Biggs, James Weis, Grant Atkinson, Chas Glatzer and more. • Soaring red dunes of Sossusvlei, the life-filled blue Atlantic Ocean, the desert and denizens of Damaraland, and the plains game and predators of Etosha National Park. • Scenic walks, mountain biking, the spectacular ancient rock engravings at Twyfelfontein, rhino tracking, optional hot air ballooning and horse-riding. • Exclusive accommodation in private concessions in Namibia. • 14 nights / 15 days. • Tarangire National Park,Lake Manyara National Park, Serengeti National Park, Ngorongoro Crater, Masai Mara, Nairobi, Amboseli National Park. • Small group, no participation lodge safari with all nights in lodges / permanent tented camp. • 19 nights / 20 days. • Chobe National Park, Etosha National Park, Himba Tribe, Damaraland, Swakopmund, Sossusvlei, Waterberg, Bushmanland, Okavango Delta, Khwai River, Magkadigkadi Pans, Hwange National Park, Victoria Falls. • Small group lodge safari. • 10 nights / 11 days. • Botswana's Okavango Delta and Linyanti plus Zambia's Victoria Falls. • Permanent tented camps in private concessions. • 12 nights / 13 days. • Victoria Falls, Painted Dogs Conservation Centre, Hwange National Park, Rhodes Grave and Matobo National Park, Great Zimbabwe, Nyanga National Park, Mana Pools, Lake Kariba and Matusadona National Park, Antelope Park. • Small group non-participation lodge safari. • Optional 5-day Matusadona add-on. • Victoria Falls – adventure activities • Hwange – game drives in open vehicle • Matobos – game drive • Okavango Delta - mokoro excursion • Moremi game reserve – game drives • House Boat in the Okavango Delta • Chobe National Park – sunset river cruise. • The accommodation throughout this classic journey is of 3 to 4 star style and are chosen not only for their service and comfort level but also for their wonderful locations and local wildlife viewing opportunities. All rooms have private en suite facilities. • Nairobi, Ol Pejeta Conservancy, Samburu National Reserve, Lake Nakuru National Park, Masai Mara National Reserve, Lake Naivasha, Amboseli National Reserve, Tsavo West National Park, Boat Cruise – Crescent Island NT, Masai Village Visit, Samburu Village Visit. • Small group luxury safari. • See southern Africa in luxury aboard either the Blue Train or Rovos Rail. • One- or two-day, luxury train travel in South Africa. • Combines the luxury of the world's leading hotels with the charm of train travel. • All inclusive luxury rail cruise with an opportunity to view South Africa's spectacular landscapes and visit interesting tourist attractions along the way. • Step aboard the wood-panelled coaches - classics remodelled and refurbished to mint condition - and enjoy fine cuisine in five-star luxury as some of the most varied scenery imaginable unfolds beyond the windows. • Recapture the romance and atmosphere of a by-gone era, when privileged travelers experienced the magic and mystery of Africa in a relaxed and elegant fashion. • In a series of journeys lasting from 24 hours to a fortnight, the Pride of Africa links some of Africa's greatest destinations from Cape Town at the tip of Africa to Dar-Es-Salaam in Tanzania, from scenic splendours as diverse as the game reserves of Mpumalanga to the Victoria Falls, from the desert landscapes of Namibia and the stark beauty of the Karoo to the lush canefields of KwaZulu-Natal and the magnificent Garden Route along the Cape South Coast.